August 4, 2016 What's NewkOkiDo! Kokido is proud to add one more E-cleaner to the TELSA™ line. The TELSA 30™ is our new rechargeable vacuum cleaner using lithium batteries for maximum efficiency and durability. 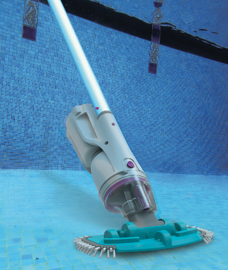 This cleaner is ideal to clean medium-sized pool without any efforts. the TELSA 30™ will clean the debris and filter the water of your pool without having the need of a hose or a cable.